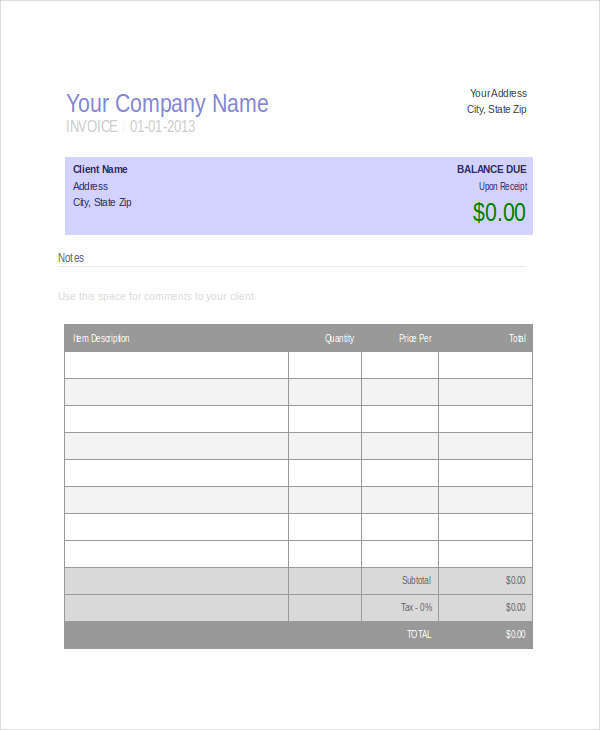 Business organizations comes in different sample invoice but all those organizations most likely use the same documents and techniques. If you have observed, not only businesses with products to sell use documents but also service-providing industries such as hotels, automotive, and medical institutions. Invoice writing is what they have in common. Medical institutions has implemented the use of invoices too. Payment invoice being one of the most known invoices clearly because with service rendered or products sold, there will always be a price in exchange for those that has been delivered. 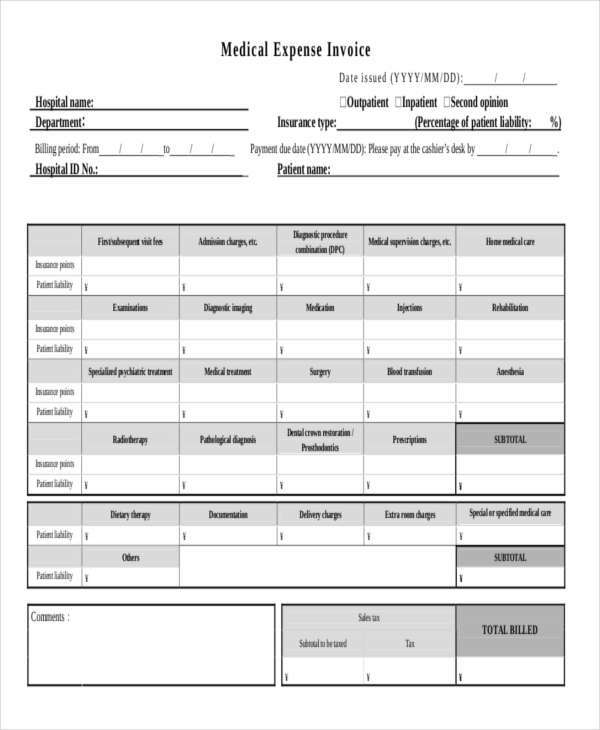 With this, we have prepared below samples you can use. What Is a Medical Invoice? Most invoice examples in word have been used by different organizations. 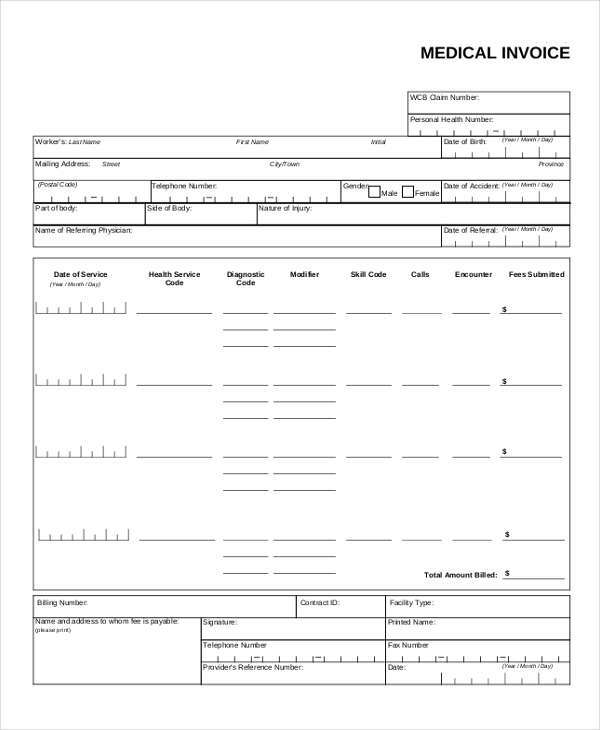 If you have noticed, forms presented in this article are mostly medical invoices. What is a medical invoice then? 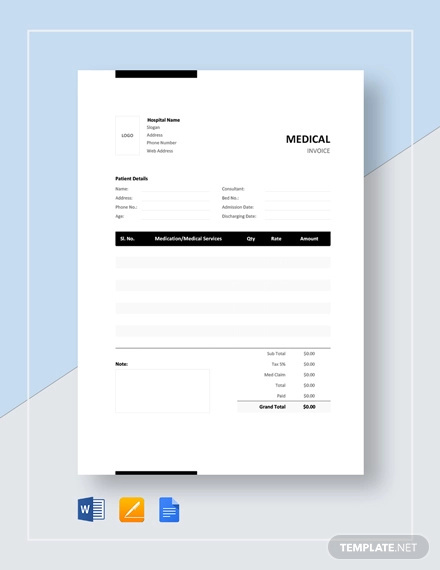 Medical invoices are types of invoices where all the medical goods and services rendered to a patient by the organization and how much all of these costs is being recorded. Medical invoices are basically a patient’s bill which he or she has to pay before getting discharged out of the hospital. The use of Simple invoices in medical institutions help them determine total goods and services rendered. Patient’s information such as name, address, contact details, age and etc. 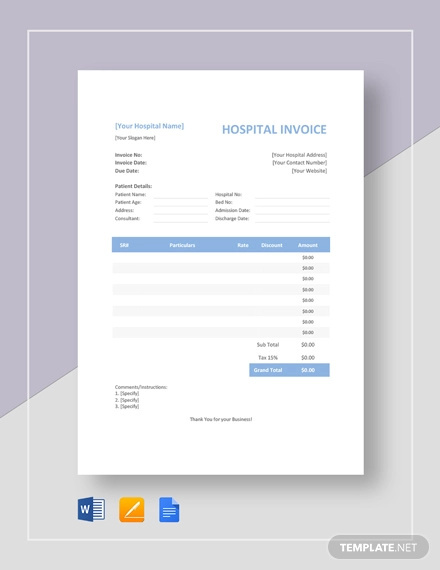 There are multiple ways to present a medical bill such as invoice examples in excel or other document types. But how does a medical bill works? Billing process has improved over the years with the help of technology. The first step of the billing process is for the patient’s information as well as the insurance company’s information, if applicable, are recorded. Appointments, diagnosis, and all other service and medical goods are listed, then computations are applied. Like all billing process, services rendered has specific costs that would be computed in totality that will then be paid. 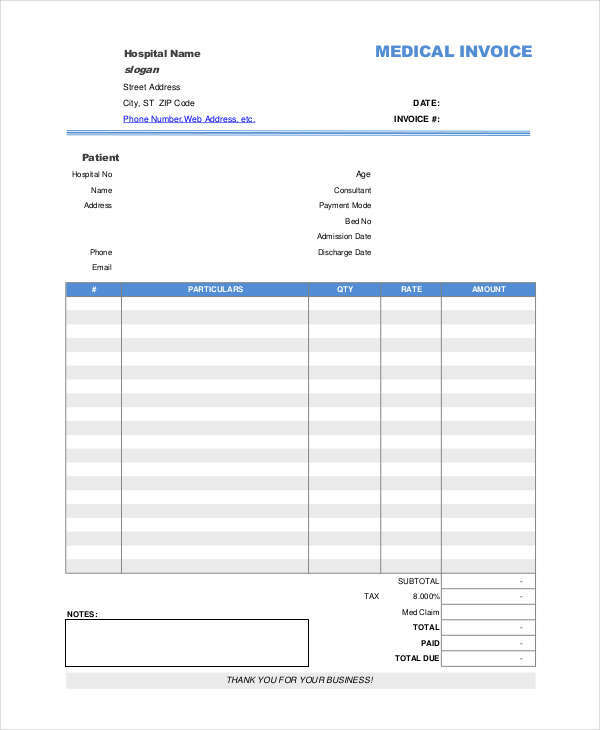 Seeing all those invoice form examples, questions like what are these for? why do we need need this? or what can we benefit from this? would mostly arise. So how does these medical invoices help us? Medical invoices can help both institutions and clients by giving both sides detailed information of what services were rendered and how much patients will be liable to pay for those service invoices. It reduces the questions of patients why they are billed for that amount. It also help management to avoid errors and risks associated with organizations functions and practices.